New York State law requires that the estimated property value and assessed valuation of your property be periodically updated for county, school & town tax purposes. In the Town of Eden, this general re-assessment or revaluation was last done in 1994. The equalization rate for the town is 63% as of 2017. The overall amount of real estate taxes to be collected in your community is determined by all local governments providing services in your community, such as your municipality, school, park and library districts. The assessed valuation of your property determines your share of taxes. Taxable status date is March 1st of the current year. May 1st of the current year for tentative roll and final roll is due July 1st of current year. You should consider filing an appeal with the Assessor’s Office if you think your new proposed assessed valuation is too high compared to similar properties in your area. You may also file an appeal if you believe that there is an error in the description of your property. However, a minor error does not necessarily indicate an incorrect assessment. You can find the reassessments of other homes in your neighborhood in the newspaper publication indicated on your reassessment notice. In addition, our office will provide computer printouts of data for similar homes in your area for you to review as comparison properties. Data on sales of comparable homes is also available. If you do wish to file an appeal with the Assessor’s Office, you must do so by grievance day of the current year. 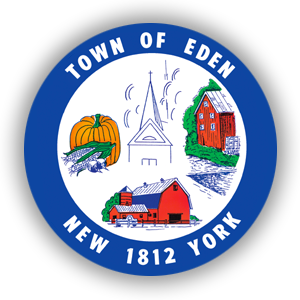 After the Assessor’s filing period for appeals has passed, you will have an additional opportunity to file an appeal with the Town of Eden Assessment Board of Review Committee.